San Francisco’s Mission-based The Chapel has announced a new series of shows taking place over the next few weeks called Keep Families Together. A portion of proceeds from every show included in the series will be going to charities working directly to provide support to the children and families that have been separated at the border recently. After The Chapel was forced to reschedule their historic 15-night residency with Bauhaus founder Peter Murphy due to prolonged complications in receiving his visa, they found themselves once again in the position of programing several weeks of shows at the very last minute. This time they have decided to use this opportunity to find a way to help a critical situation, as well as provide employment for their many staff who rely on shows occurring at The Chapel for their income and ability to reside in SF. KIND ​​- ​(Kids In Need of Defense) ​protects unaccompanied children who enter the US immigration system alone to ensure that no child appears in court without an attorney. Al Otro Lado – a bi-national organization that works to offer legal services to deportees and migrants in Tijuana, Mexico, including deportee parents whose children remain in the U.S.
Young Center For Immigrant Children’s Rights – works to protect children from harsh immigration laws and recently announced a project specifically dedicated to helping children separated from their parents at the border. Border Angels – Border Angels is an all-volunteer, non-profit organization that advocates for human rights, humane immigration reform, and social justice with a special focus on issues related to issues related to the US-Mexican border. Border Angels engages in community education and awareness programs that include guided trips to the desert to place water along migrant crossing routes as well as to the border to learn about the history of US-Mexico border policy and experience the border fence firsthand. 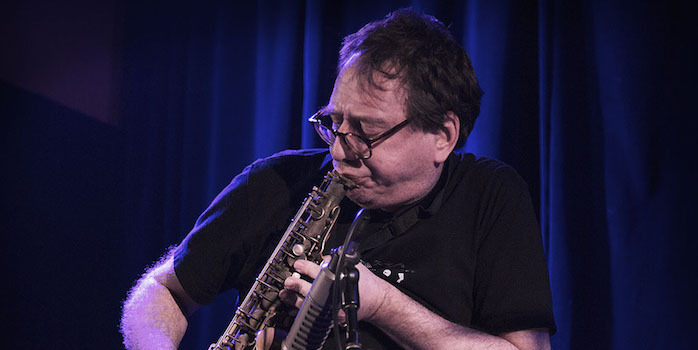 Photo of John Zorn at The Chapel by Jonathan Pirro.